The main objective of W6 is to ensure the appropriate dissemination of project results to the appropriate audience through diffusion activities. The UPRIGHT Dissemination and Communication Plan will contain the main strategic and operative guide tol govern the overall strategy of the project. The Plan will be developed at the beginning of the project (by Month 3) and will constitute the core document outlining dissemination and communication activities. The Plan will be subjected to revision. It is envisaged that at the end of each year of the project, an updated version of the Plan will be drafted in order to fine tune the dissemination objectives with project results and include potential new communication tools which may appear over time. The project will set up a website to be used as the main interface towards the stakeholders who are interested in the work and achievements of the project. It will also act as a communication and dissemination channel for the project results and for involving and enlarging the stakeholders‘ community. A dedicated section of the same or possibly a separate website will be set up as a SharePoint for the consortium, containing all institutional information, including working documents and deliverables. Project‘s public results, press releases, eNewsletters on UPRIGHT related topics; specific RSS feeds and other automated news services; links to major websites and portals, including those managed by the European Commission; articles and interviews around the project and related topics written by professional journalists when available. All stakeholders involved in schools that already have committed their participation (students, teachers, school managers, other staff), mental health care (psychologists, psychiatrists), social care sector, policy makers are key targets for the project. The communication strategy will be directed to these key target groups and will be invited to be actively involved. Articles in relevant journals of clinical, educational and social areas will be used to disseminate results to researchers and experts of different fields. General public awareness will be done through more generalist communication channels and media. In addition, all partners will actively participate in events (conferences, congresses, fairs…) that could be the interest for the project or could be interested in project results. Two open workshops will be developed to which stakeholders will be invited. As has been previously described key researchers and key opinion leaders belonging to the partner´s networks initially and others will be invited to the meetings. Teachers, regional/national authorities, families (EPA and families in the area of influence among others), social workers among others will be invited to the workshops/seminars. In addition, it will be analyzed the organization of regional specific workshops in the participant pilots to disseminate the results to other schools in the area during the project meetings or during the celebration of specific events in the schools. In addition, participating schools will organize local events to share project findings with regional health and education services. 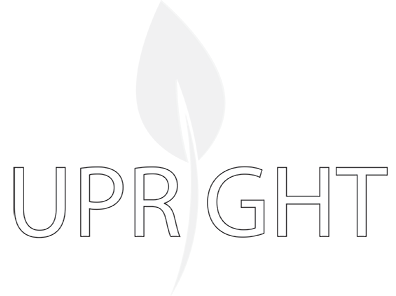 UPRIGHT consortium will interact with other programs active in the European space focused on improving mental health and resilience. In particular, it is planned to interact with the active programs in the Europe as well as with the other projects that could be funded in the framework of this topic. The interaction with other consortia will be two-fold. On one hand, key researchers will be invited to meetings of UPRIGHT consortia at those appropriate times which permit the interaction based on the acquisition of solid knowledge (this will be between months 12 to 48). The name of the experts will be decided in the consortium meetings taking into account the potential applications of results arising from the project. In addition, members of UPRIGHT consortia will attend specific meetings with key consortia operating in the European space. Develop and extent contact to key institutions and stakeholders in the field. Map market. Prepare introductory information on the event. Develop, update and finalize program. Although commercial exploitation is not the main focus of this project, commercial and non-commercial exploitable results have been identified and explained in section 2 of this document and special effort will be devoted to the sustainability of the results beyond the framework of the UPRIGHT project. The initial strategy for IPR and exploitation management has been identified and will be updated during the project.